A living trust is a legal entity that holds title to and manages assets for an intended beneficiary. A living trust is distinguishable from other trusts in that you, as the grantor, can make changes to the trust or revoke it entirely during your lifetime. You can also act as the initial trustee of your living trust. Living trusts are most often used to avoid the probate process that comes along with passing property through a will. Because assets are owned by the trust, and not by you, they pass by the terms of the trust upon your death, making probate unnecessary. Trusts are complicated documents and estate planning attorneys can help you navigate through the legal nuances. 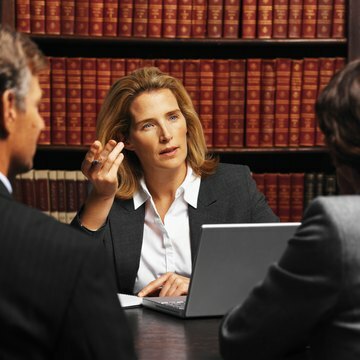 Attorney’s fees are generally the bulk of the cost associated with creating a trust. The cost for an attorney to draft a living trust can range from $1,000 to $1,500 for individuals and $1,200 to $2,500 for married couples. These are only estimates; legal fees vary based on the attorney and the circumstances. Rates may differ depending on the state in which you live. The cost of hiring an attorney to draft a trust can be five to six times that of drafting a will. If you decide that hiring an attorney is the way to go, you will likely get more for your money than just the living trust. Living trusts are most often used as part of a comprehensive estate plan that can include wills, powers of attorney and health care directives. You should find out exactly what is included in the attorney's fee prior to agreeing to any proposal. For instance, is the cost of drafting a new deed to add real property to the trust included in the price? Does the attorney's fee include retitling of assets? In order to pass through the trust and avoid probate, assets must be retitled into the name of the trust. For instance, if you want to place your home in the trust, you must change the deed so that the trust is named as owner. Once the deed is changed, it should be recorded with the registrar of deeds, and is subject to the same fees as any real estate transaction. These fees vary by state. You can check with your local registrar of deeds for your state’s fees associated with a deed transfer. Whether or not you choose to hire an attorney to draft your living trust, you will be responsible for the expense of titling assets to the trust.